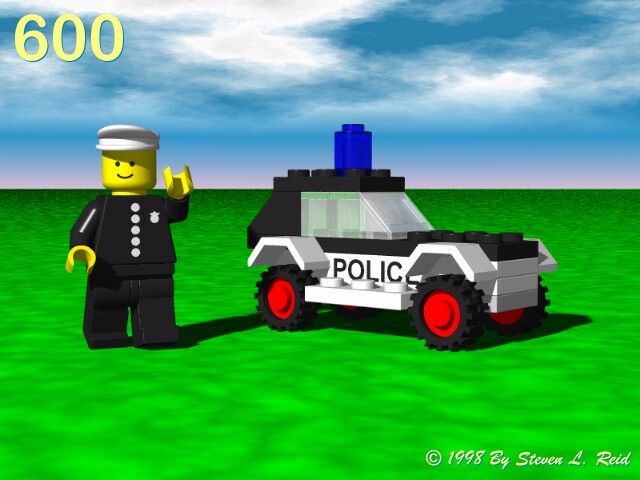 I have radiosity fever of late, converting or creating a number of new LEGO images utilizing POV-Ray 3.7 beta. Below are two new renders. 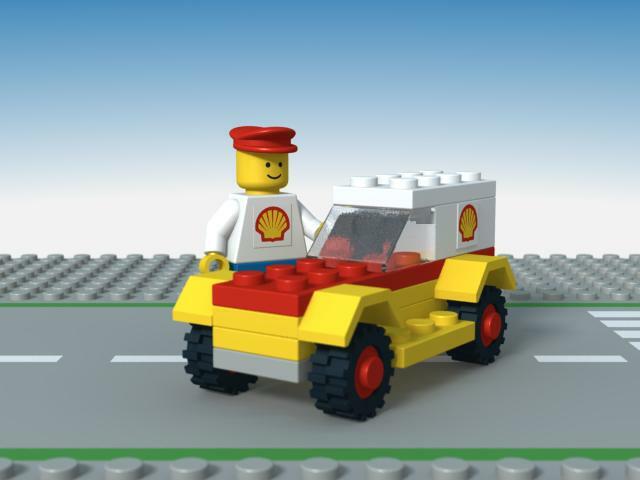 The new model is 604 Shell Car that fit nicely with some of my old models. 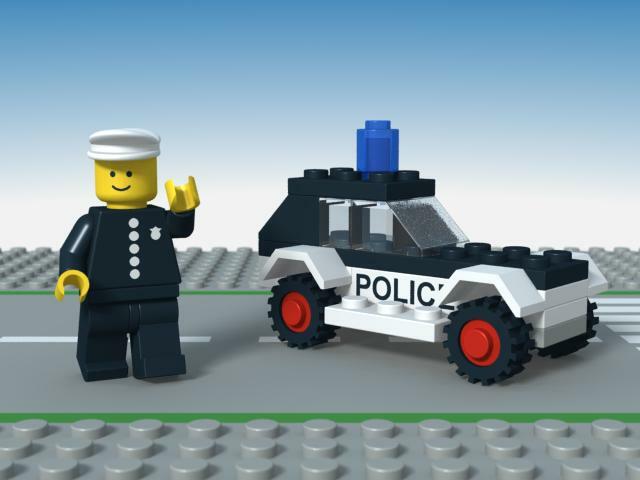 The old one, 600 Police Car, utilizes the setup from the first as well as fixes a few bugs in the original.